Rajasthan GK Question in Hindi Sample Paper 113: Rajasthan General Knowledge Sample Question Paper with Collection Question No. 2541 to Q.2560 of Rajasthan GK Questions under GK Quiz in PDF @ Rajasthan GK Sample Papers. 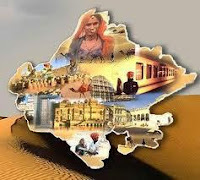 Rajasthan General Knowledge (GK) and General Studies (GS) Questions from various examinations of Rajasthan Govt. and central Govt Examinations. Q.2543 'वेन्चुरीमीटर' से क्या ज्ञात करते हैं? Q.2548 34वाँ अन्तर्राष्ट्रीय व्यापार मेला जहाँ "राजस्थान मंडप" भी दर्शकों के लिए लगाया गया था। यह मेला कहाँ आयोजित हुआ ? Q.2550 नवंबर 2014 में "Say Thanks ", नाम से एक व्यक्तिगत वीडियो निर्माण उपकरण किस साइट द्वारा शुरू किया गया है ?